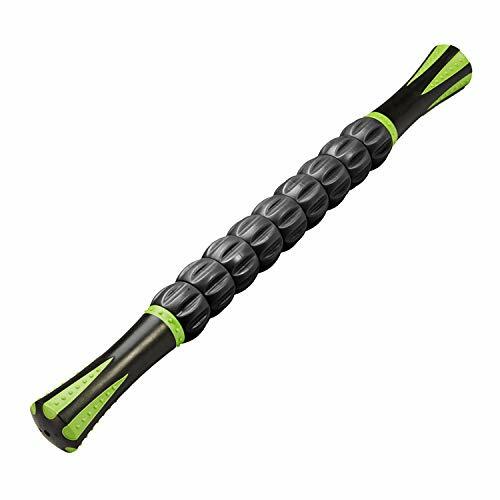 If you are dealing with stubborn backaches, joint pains, or muscle tension in general, then chances are you could use the Grid 2.0 foam roller. 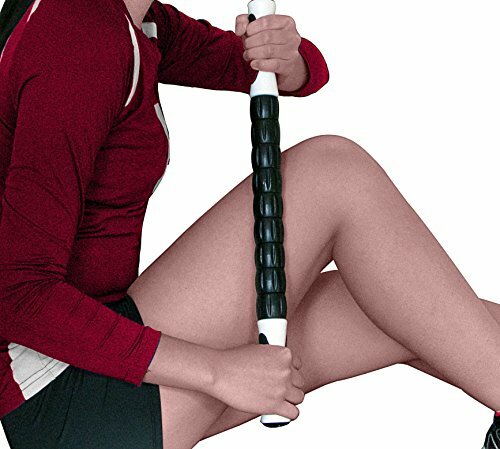 Most people who have used this tool love it because it is extremely lightweight and portable, and considerably cheaper than most other types of exercise equipment. The GRID 2.0 comes with twice the length of its predecessor: the GRID, and is useful for those who have larger bodies or simply need a more stable working surface. The GRID 2.0 is ideal for self-massage and working through kinks, knots, and tight muscles that may be pulling you down. It features unique, multi-dimensional surfaces that feel like the hands of a massage therapist. This in turn helps to facilitate the flow of blood and oxygen to where they are needed: damaged tissues. One of our favourite things about the Grid is that they are extremely durable. They can withstand the heaviest of users, with a 500 pound weight limit. For the average person out there, this is a product that will last for decades. There are a number of features that you’ll want to consider when deciding if the Triggerpoint Grid Foam Roller is the right one for you. 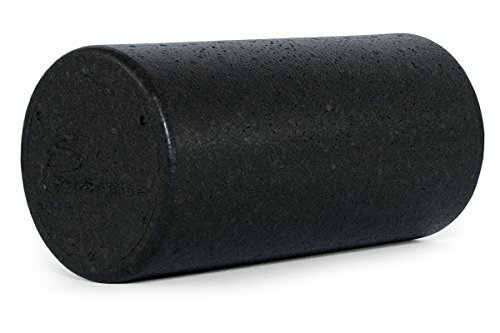 GRID 2.0 foam rollers are designed with a patented style that provides a better, multi-density exterior built over a firm, hollow core that is resistant to regular usage. This is actually the first time for a multi-density exterior to be built over a hollow core in a foam roller. The patented surface makes the GRID 2.0 perfect for rolling through kinks, knots, and tight muscles. The exterior of the GRID 2.0 is a rigid, multi-density EVA, covering a durable, hollow core ideal for recurrent use without compromising its shape and structure. The foam roller can accommodate up to 500 pounds. Due to its proven durability, the GRID 2.0 has grown to become a favorite among professional athletes, athletic trainers, massage therapists, and physical therapists. There are various ways in which you can lay over the grid to produce different results. This can have several effects on your vertebrae. It aligns joints and tight muscles on your spine, and “widens”, or opens up, the entrance between the vertebrae and the nerves, which might be constricted. 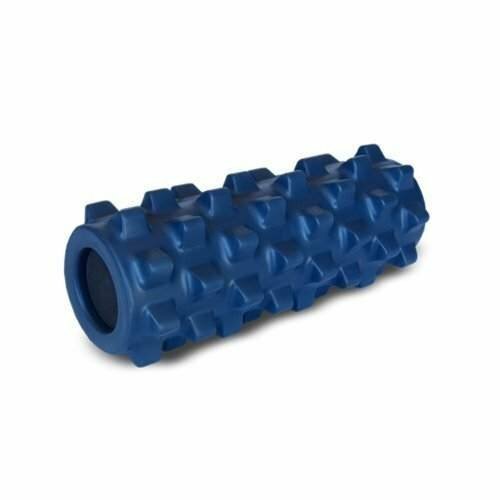 Certain studies have actually shown that when you lay on a foam roller like this, on one of your sides—for instance your LEFT SIDE, the holes on the other side of your spine will expand several millimeters. This can come in handy for those who have constricted nerves as a result of herniated discs, since it literally allows the nerves “to breathe.” At the same time, the GRID 2.0 will stretch out stressed joints and tight muscles in that particular area of the spine. 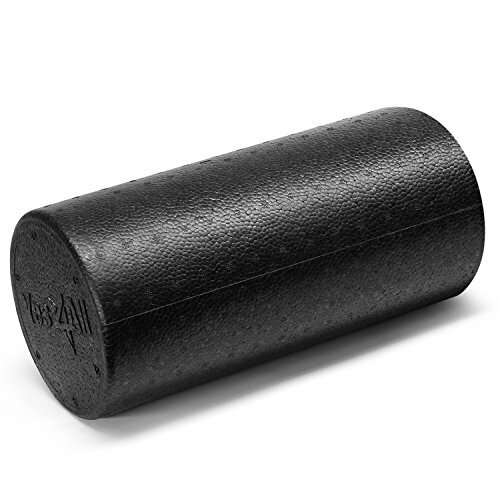 If you take a look around your local gym, chiropractor’s or physio’s office, you’ll often see this foam roller. It really is the trusted brand of professionals who need something durable that just works. It’s rated for up to 500 pounds, so can work well for larger people who want a roller that’s strong and durable enough for them. Who says that foam rolling shouldn’t be fun? You can choose your color from among pink, camouflage, lime green, black or orange. Here at My Foam Rollers, we LOVE companies that stand behind their products. The Grid Foam Roller comes with a hassle-free warranty. This is more generous than many of their competitors. 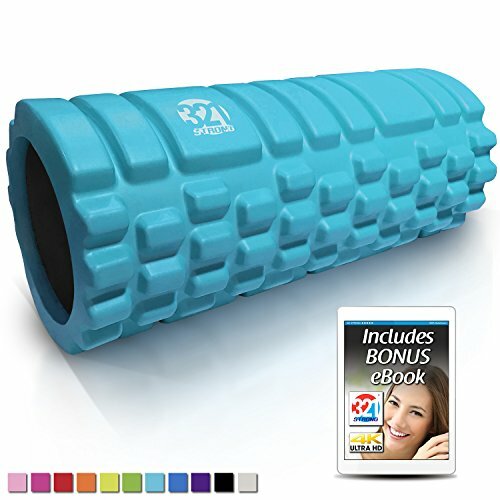 Or, keep on reading for more details about this popular foam roller, one of the top products here at this site. Trusted by professionals-it’s the foam roller we often see in chiropractic and physiotherapist’s offices. 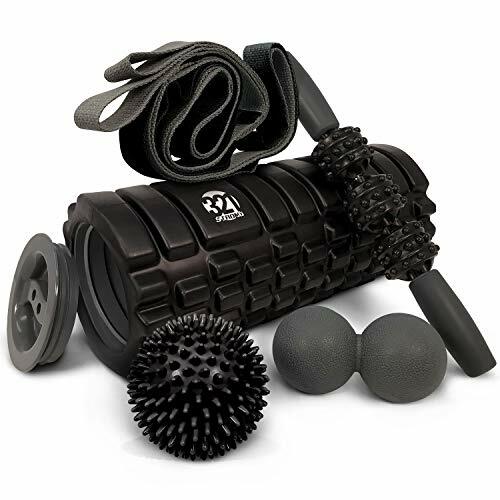 How does the Trigger Point Grid Foam Roller stack up against the rest, including the Rumble Roller? Let’s find out. 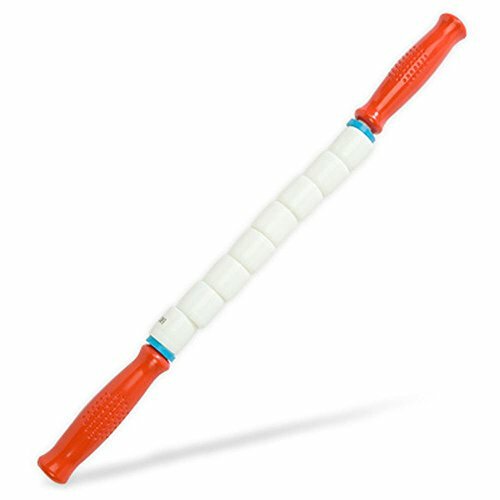 The Travel Roller has a smart design and is a great piece of equipment in general. The best part about it is that it fits easily into your suitcase for when you’re on the go. However, when all is said and done, it’s still a travel foam roller. 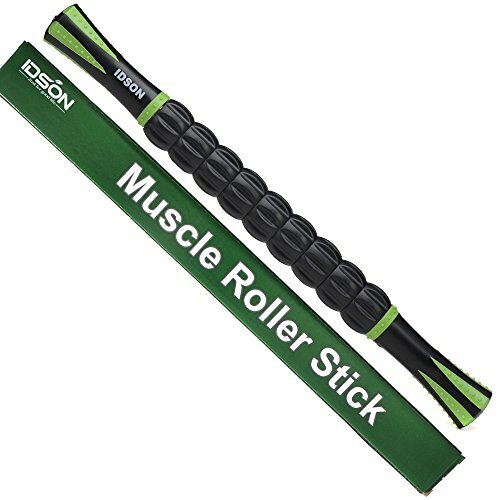 It comes with a smaller diameter that makes it harder to roll on, especially for rolling out your back and legs. In a nutshell, the travel roller is mostly convenient for those who travel on a regular basis. 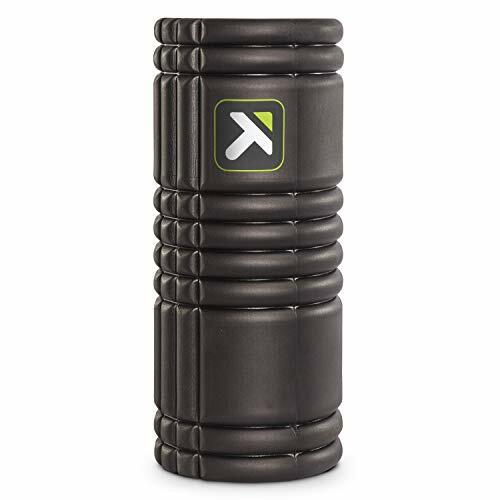 But, if you want a top-quality foam roller to use on a consistent basic, the TriggerPoint Grid is the winner, hands down. When it comes to durability, the RumbleRoller is just as good as the GRID 2.0. The quandary is that the RumbleRoller is not very appealing to most people. Some people find it too intense when compared to its more versatile and cheaper counterpart. Full Review of the RumbleRoller. Experts are divided on the issue of using a foam roller for the spine, which is where the Stealth Align Foam Roller might come into play. Naturally, it appears like the wings and the channel would support this area adequately. The 8-inch diameter is also decent for efficient rolling. But, in general, the Stealth Align is not as versatile as the GRID 2.0. It’s also not as durable, which is why the TriggerPoint wins this battle, hands down. What do People Think about the Trigger Point Grid 2.0? The GRID 2.0 is extremely useful for back pain. However, you should know its limitations. It won’t play any role in strengthening your back muscles – just relieving the pain. It’s one of the top-selling items here at this website. It is a great tool for those dealing with lower back pain as well. In fact, research has proved that lower back pain sufferers usually have weaker multifidus muscles, which need to be strengthened. You should also know that people with herniated discs have been shown to suffer from a weaker multifidus muscle on the part of the defective herniation. This only aggravates the problem. Our advice is to utilize all the tools at your disposal to get rid of back pain permanently. Gym goers will also find the GRID 2.0 very useful. After a particularly strenuous workout, muscles tend to get tense and recovery can take a number of days. Engaging in an intra-workout can improve the recovery time, but you still won’t recover completely. 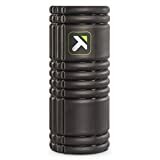 Using this foam roller will help you recover instantly, especially on leg days when you tend to experience delayed onset muscle soreness (DOMS). Do you know a workout buff in your life? 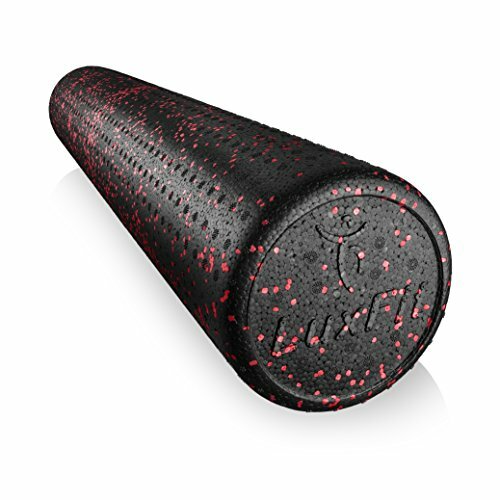 This foam roller would make an excellent gift for them. Is it the right foam roller for you? We love this thing and we’re sure that you will too. It’s a great combination of soft enough to not be too painful, but hard enough to be extremely durable. Sure, it’s a bit more expensive than some of the other foam rollers on the market today. But, you get what you pay for and in this case, it’s a top-quality piece of fitness equipment that you’ll be using for years. The patented design, well thought out features, and durable construction ensure a product that you’ll love. 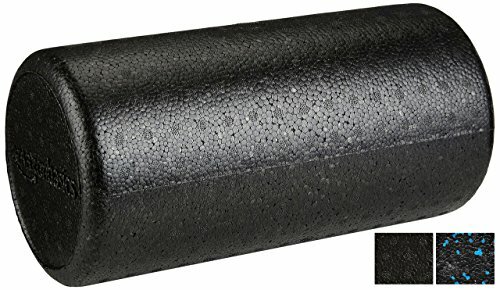 What are your thoughts about this grid foam roller review? Leave a comment below and let us know what you think. Also be sure to give this article a share on Facebook, Twitter, or Pinterest. It’ll help other people, like yourself find relief from their aches and pains.